Saturday 18 May was a momentous and unforgettable occasion for a number of aspiring music students who got the opportunity to perform at a classical music concert held at the Grenada Trade Centre. Aptly themed “A Wonderful World”, the concert, which was produced by Valerie Daniel — accomplished Opera/Concert Singer and Voice Specialist — featured a wide selection of Grenada’s leading artistes from the music and theatrical professions. Students of Island Violin Music School and many others had the unique opportunity to perform alongside acclaimed artistes such as Lucinda Ogilvie – classical singer; Elizabeth Wolf – violinist and singer; Rose–Ellen Duncan – pianist; and guitarist Cecil Bartholomew; plus many others. It was a rare treat, in one instance that student pianist, Tiffany Strachan accompanied Jenny J (Jazz singer) to her rendition of Bob Dylan’s “Feel my Love”. “It is such a joy to have the children and music students being a part of the show. We have students as young as age seven who will benefit tremendously from being exposed to the atmosphere and energy generated by a live show,” commented Mrs. Daniel. Through its sponsorship, Netherlands Insurance secured the professional services of Judah Sound Stage and Lights, in particular Petroc “Rocky” Bernard, Grenada’s leading expert in sound engineering, whose technical expertise was a tremendous asset in enhancing the show’s professionalism. Additionally, students were given the exclusive opportunity to be part of sound checks and gain the “real life” experience of performing in a show of this kind. With the support of Netherlands Insurance, in conjunction with other sponsors Jonas Browne & Hubbard, Bryden & Minors, GLENELG, Creative Designs, Grenada Trade Centre, and many performers, the show was a resounding success. 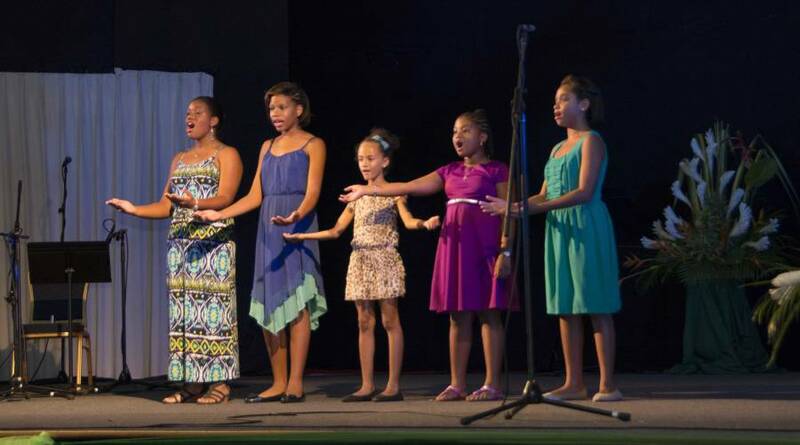 It was evident from the high quality production of the show and wide array of performances, from opera and classical singing, to musical renditions played on the cello and flute, that Grenada has a significant pool of untapped talent waiting to be discovered. Netherlands Insurance Co. (W.I.) Ltd has developed a well-deserved and hard-earned reputation for leading the way in the support of art and culture in Grenada, Carriacou and Petite Martinique. The company has confirmed its commitment to continue to play a vital role in the growth of the arts whilst also preserving our island’s rich cultural traditions and heritage.